Manufacturer of Cream Filling Machine & Cream Jar Filling Machine. Our product range also comprises of Pump Housing, Tube Filling Machine and Single Head Tube Filling Machine. We are the leading manufacturer of Cream Filling Machine and our product is made of good quality. One of our Cream Filling Machine is specially designed for filling high viscosity products. It is made by using high-quality parts and stainless steel and latest technology which guarantees the machine's high filling accuracy. 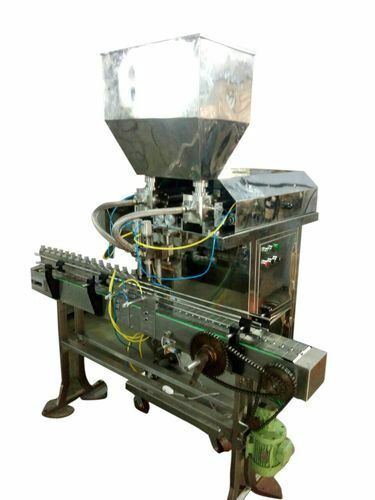 Cream Filling Machine can be used to fill differently shaped products. Metal Folding & Crimping station. Lami sealer for laminate or plastic tubes. A combination sealer for both metal tube folding & laminated & plastic tube sealing. 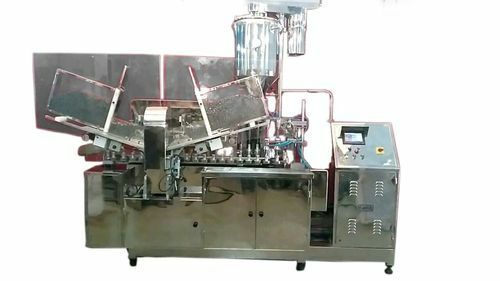 We are the leading manufacturer of Cream Jar Filling Machine and our product is made of good quality. We believe in customer satisfaction so we use high-grade processing techniques and equipment for our entire processing. We offer superior quality in our offered product range at industry leading prices. To maintain the quality standards, we use highly advanced processing techniques for our range of product. Our offered range of products has been made using the best technology. Looking for “Cream Filling Machine”?